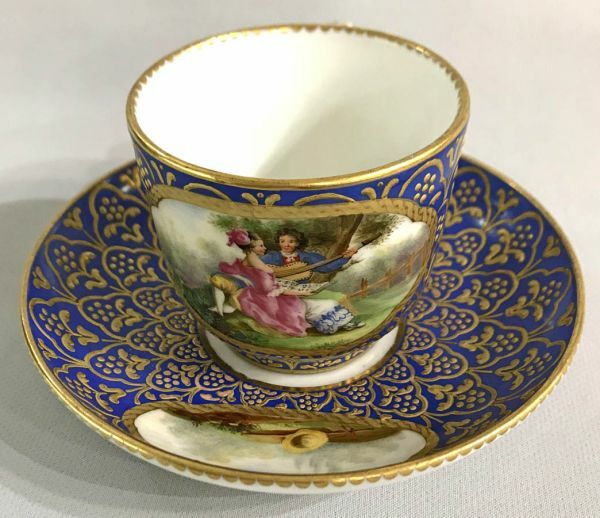 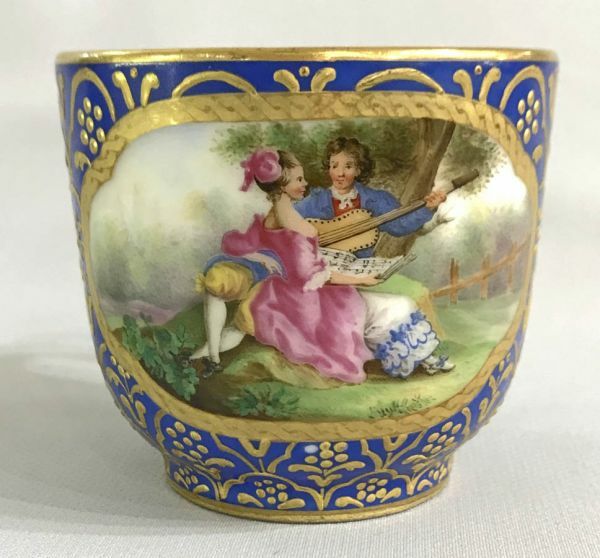 Continental porcelain cup and saucer. 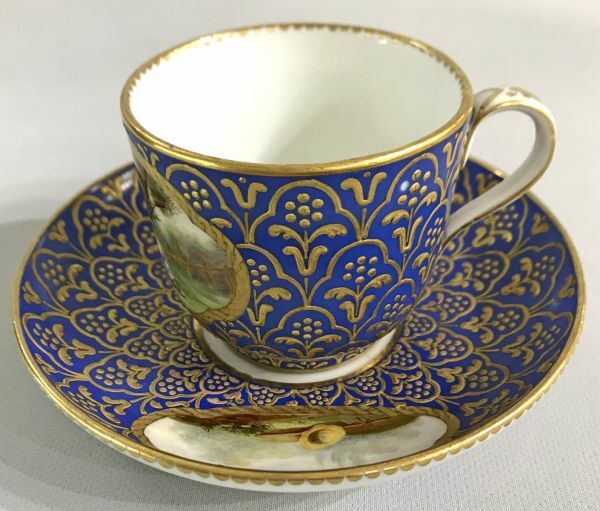 The cup is 2 1/2” high. 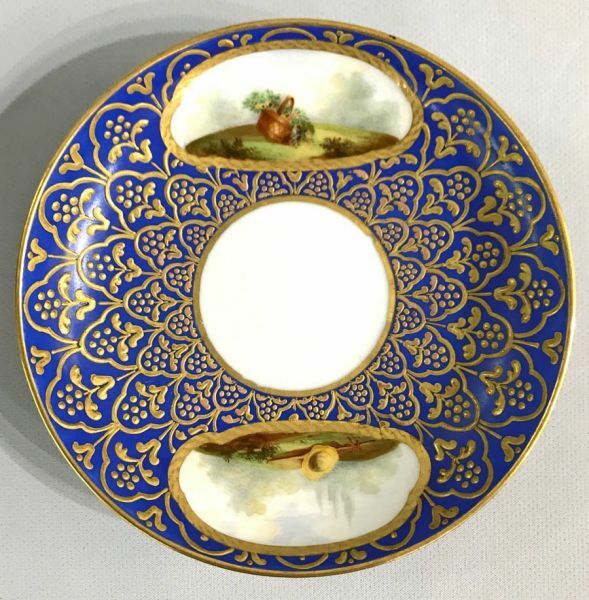 The saucer is 5 1/8” in diameter.